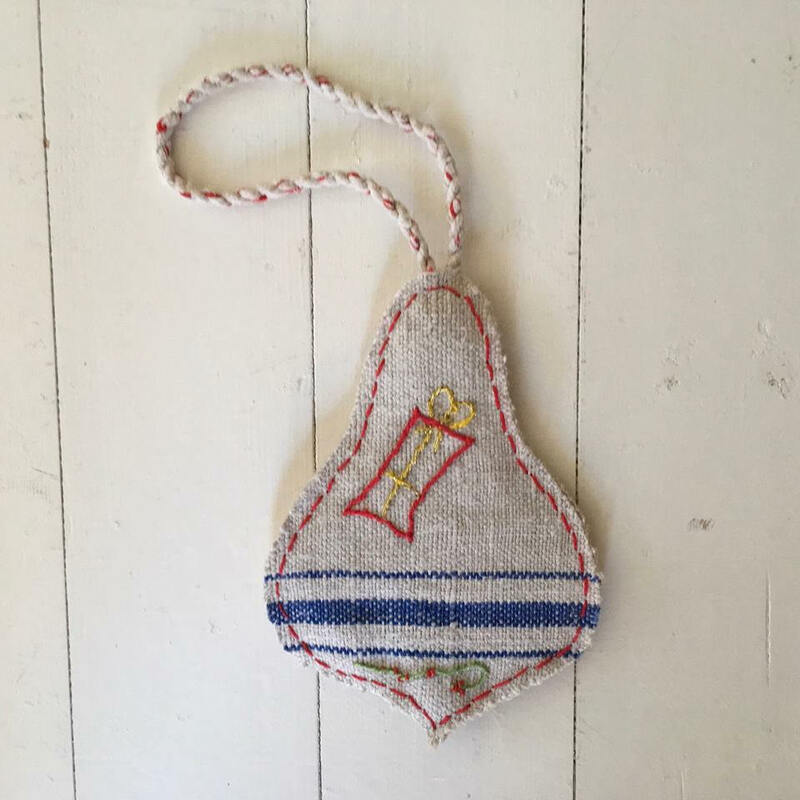 The vintage Hungarian linen has been made into a large Christmas heart decoration that has been hand embroidered and hand stitched. 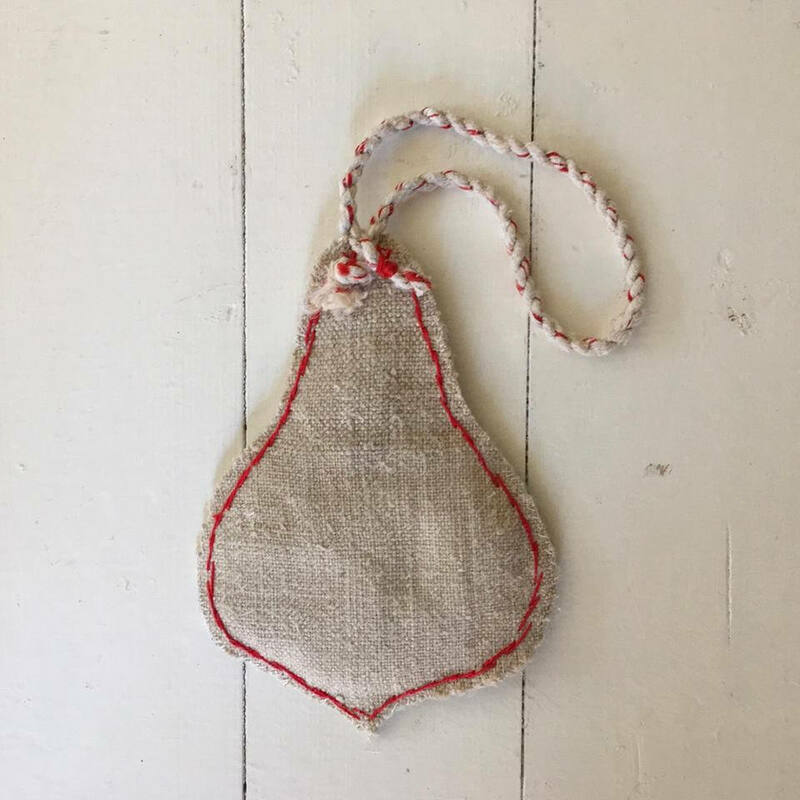 Hang up around the house or on a large Christmas tree. Each one is a one-off and individual. The linen is a white-grey shade with a blue stripe across it. It has been decorated with red green and yellow embroidery. The tie is attached with a sack tie on the back.. Many people assume that vintage linens only come from France. However, the tradition of making fabrics from flax and hemp was prominent throughout Europe well into the 1940's.